If you have a Lennox filtration system and are searching for high-quality furnace filters, AC filters or cleaner filters at low costs, browse our selection today. In addition to filters designed for Lennox, you’ll also find a variety of products intended to accommodate other major filter brands, including Honeywell, Air Bear and Aprilaire. 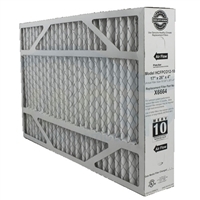 Depending on the age and quality of your home system, these high-quality furnace filters, air filters and cleaner filters will provide you with proper filtration for six months or more. Lennox air filters are designed to trap small particles known to cause irritation and reduce air quality, and come in a variety of styles and sizes. 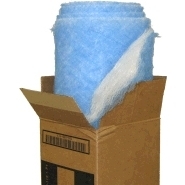 Our heating and AC air filters come to you at low costs and with automatic fast shipping. We offer free shipping on select items. Improve the quality of your home’s air and keep your heater, AC or cleaner performing with optimal efficiency for years to come. If you're not sure which filter is right for you, contact us today.